It is important to remember that sunburn can occur not only in the summer months, but any time of year, and cold, dry winter weather can make such damage feel and look much worse. With its broad spectrum SPF30 sunscreen protection, Forever Sun Lips helps to prevent sunburn and protect against both UVA and UVB rays. 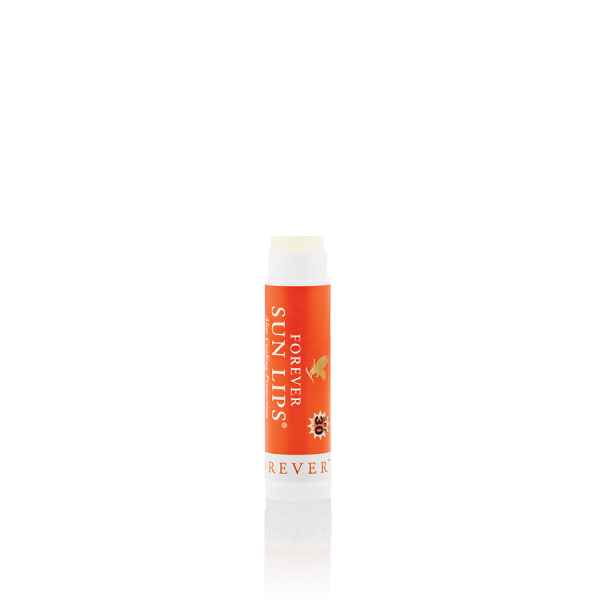 Applied before sun exposure, and reapplied whenever needed, Forever Sun Lips™ can help protect against sun damage, while also providing soothing botanicals to help soften, calm and soothe irritated, chapped lips.